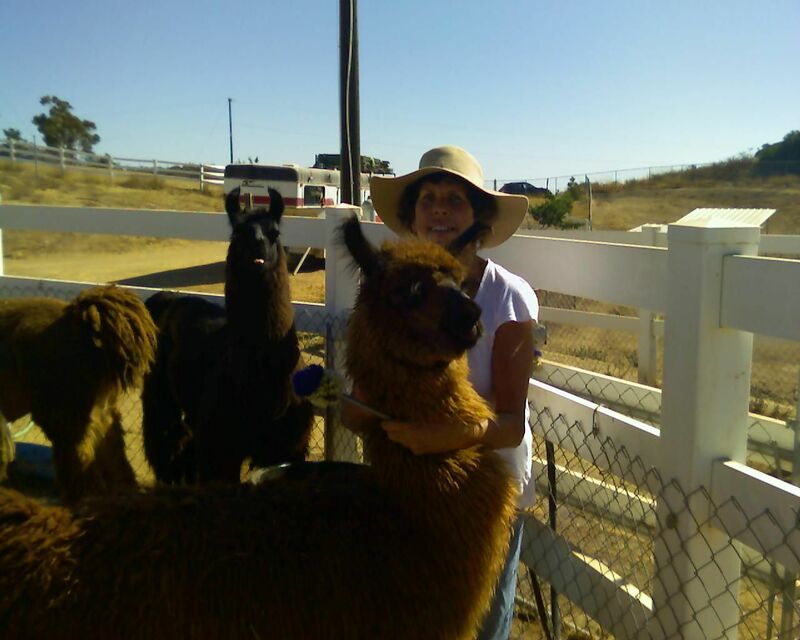 Our foundation females bring to our farm diverse genetic backgrounds: We have both North and South American bloodlines that display the characteristics that we value most: Gentle, cooperative, and sweet natures; sound and Correct conformation; high style, and superb fiber. 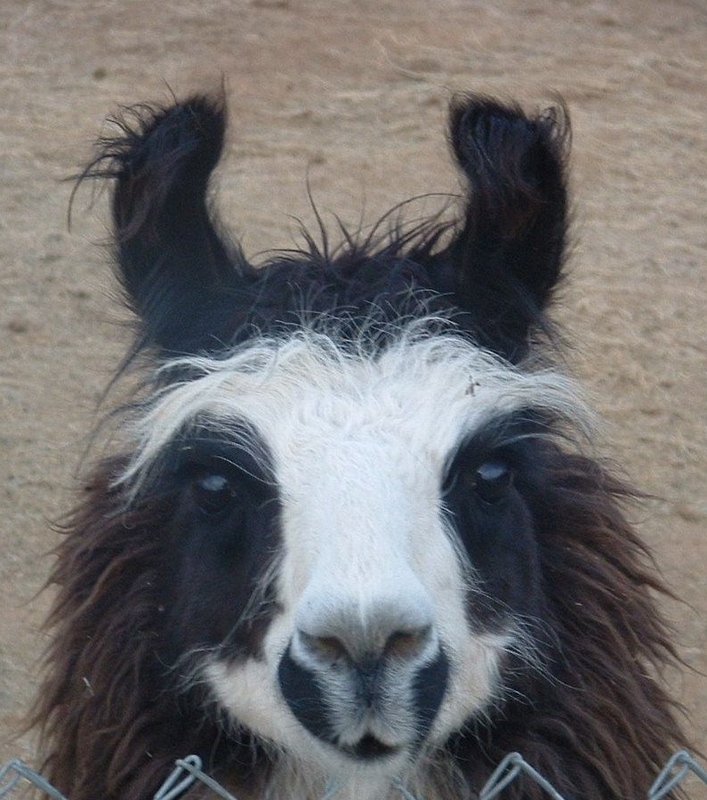 At the moment we have sold most of the females listed on our sale pages, and are in the process of deciding who else we can part with (as all llama owners know, that is always a hard decision).. Most of our adult girls are either nursing or expectant mothers. We will be adding more girls to the sales list soon, but if you see an animal that interests you here, please let us know, and we can talk about it. Also, please look at our New Kids on the Block page for the females that we have recently added to our herd. We expect them to enhance our breeding program. Let us introduce you to our girls. Autumn has given us two wonderful sons. The first is now one of our Junior Herdsires, Affinity (out of GLL Jakarta),who has just sired a gorgeous little girl, Arabesque, out of our Merit daughter, Flying Meranda . Her second son (Spinnaker) born this spring (out of Millennium), has us so excited we are almost superstious about him. 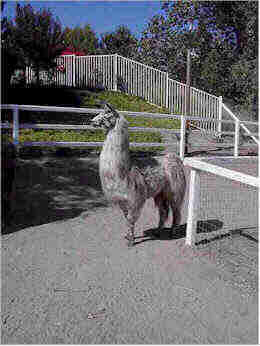 We have repeated this breeding and hope for her cria in June. 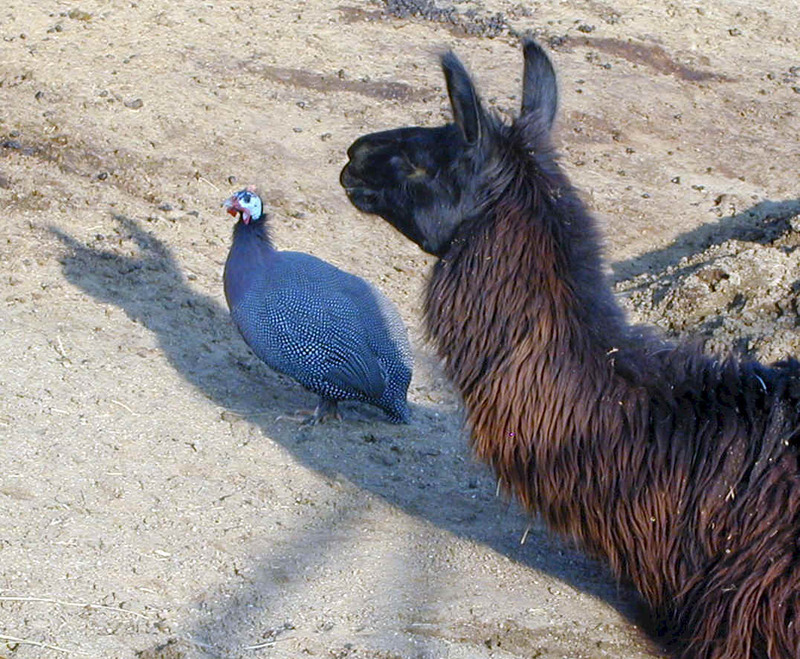 You can see both of these babies on the cria page. 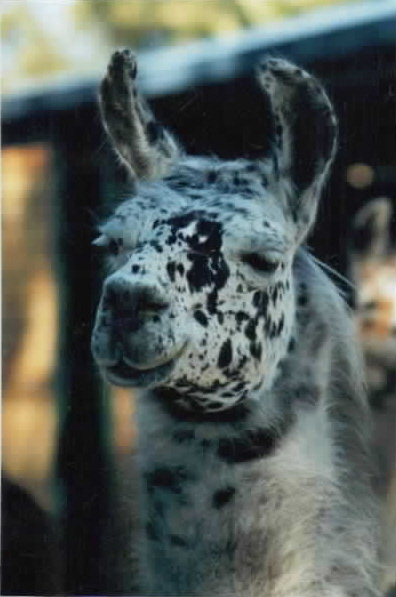 Lolly is a large, impressive appaloosa female with stature and the beautiful silky locks that the East Fork program is famous for. She has just given birth to a cria out of RLL Millennium . . We like him so much that we rebred her to Millennium for a fall cria. Our first girls were descendents of either Long's High Five or LOM's Batman. 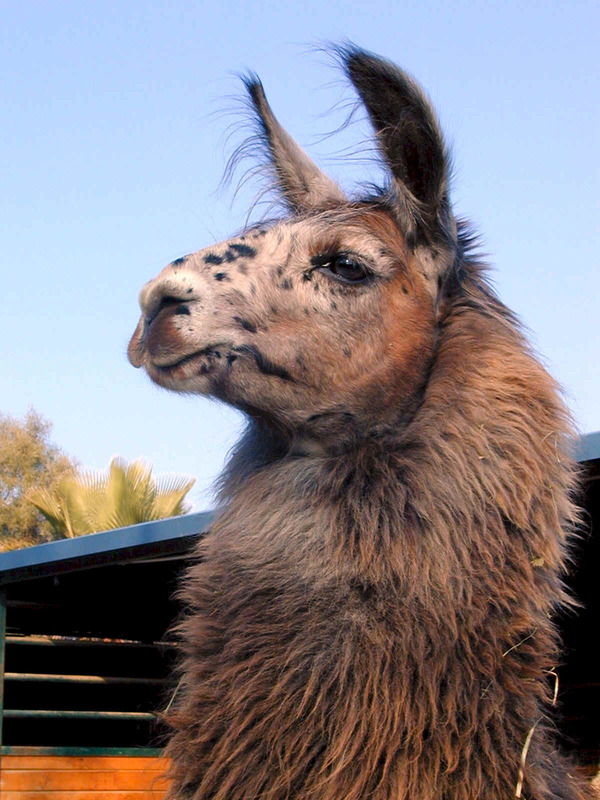 Franny has given us four beautiful crias (check out her incredible son, Rhapsody, a silver appaloosa out of Millennium, on our male sale page). Franny's daughter, Can-Can (see below), just gave birth to a flashy Flambe baby at the end of October. 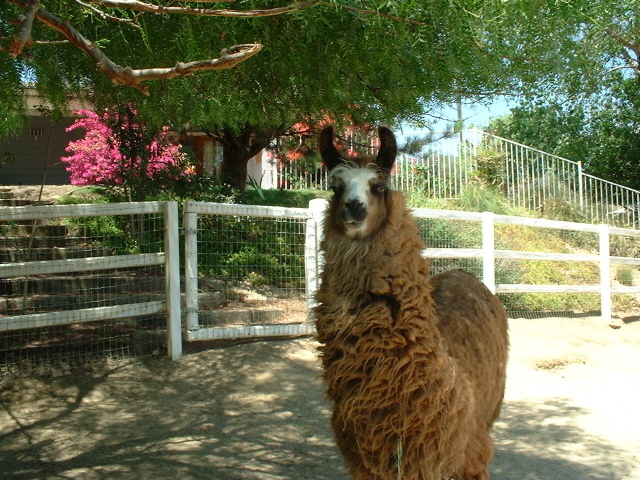 This girl is the most colorful of all the llamas on our ranch. 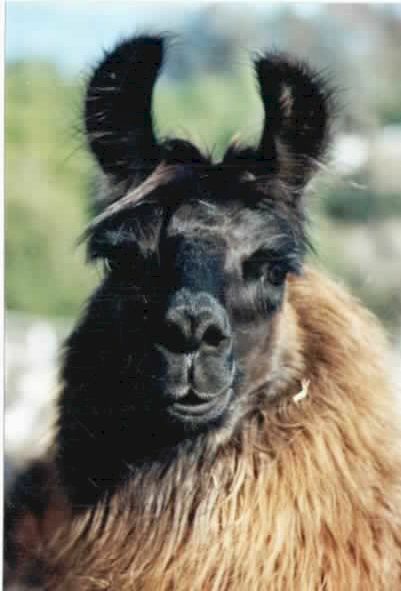 Can Can has just produced a dynamite Flambe cria. 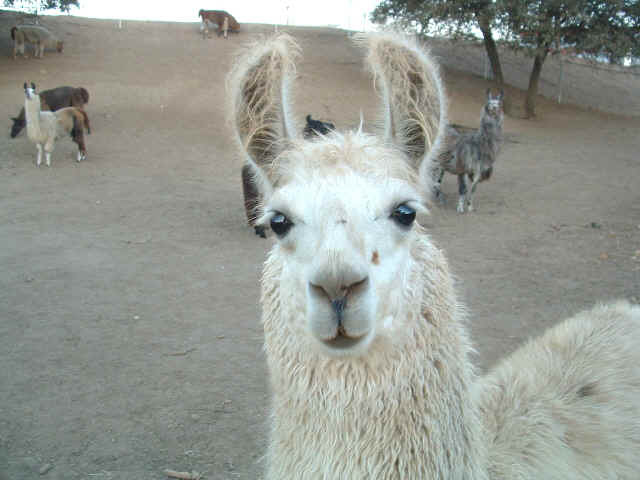 Ariel is definitely a cria with attitude. 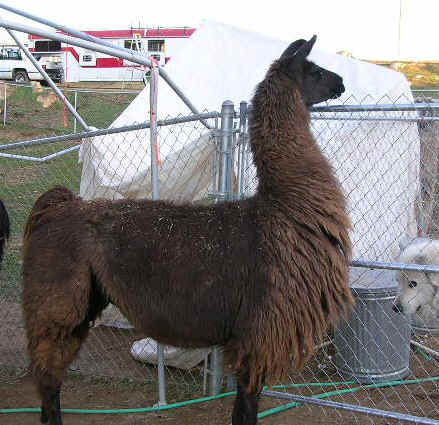 We have already rebred her to Flambe for a fall cria. Angelica is a full sister to Franny. We plan to breed her to Millennium in the spring. Our Lom's Batman daughters came from two crosses. The first was a hybrid between our Coco and Batman. (We had three Batman daughters from this combination: Chanel, Sidney, and Coquette). 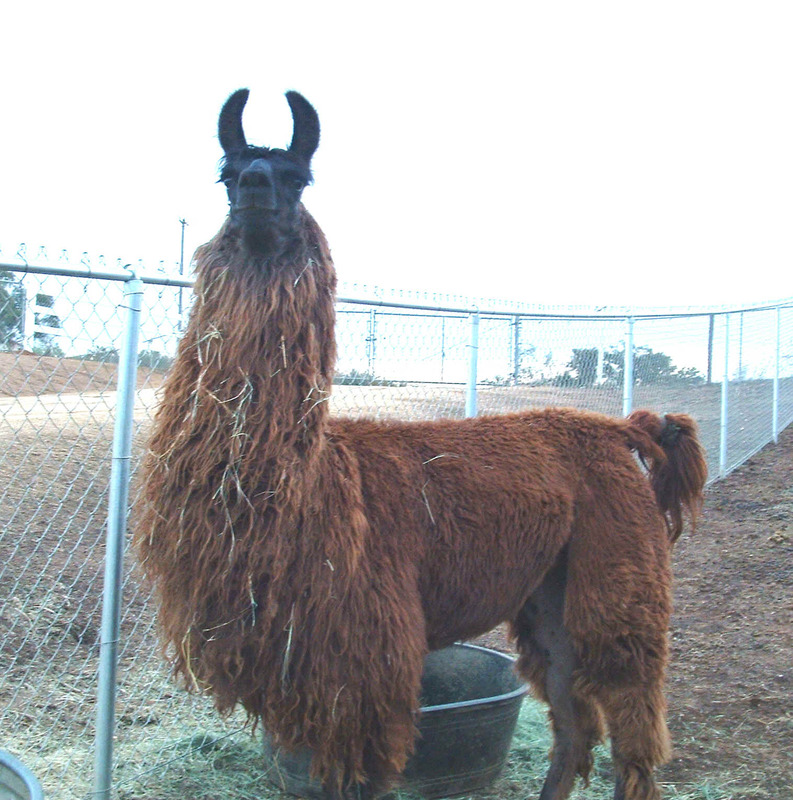 CoCo also had a terrific stretchy vivid red son, Rococco, out of Senor Diego, a Batman son. The second combination was Mor Valentine x Batman, and we purchased two daughters: Monique and Dominique. Chanel was the first baby born on our farm and is one of our all-time favorites. She has given us two daughters, and has been bred to our 2005 Celebrity champion, Kobra's Serpiko, for a spring baby. Shalimar has been bred to our Celebrity champion, Serpiko, and is expecting a spring baby. She now resides at the home of Brian Pierce and Lisa Osborne. 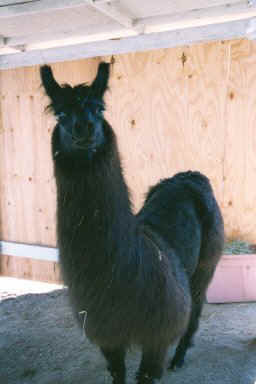 Chanson is now bred to Flambe for a Spring cria. Sidney stands out in every crowd. She is truly one of the most beautiful girls in our herd. 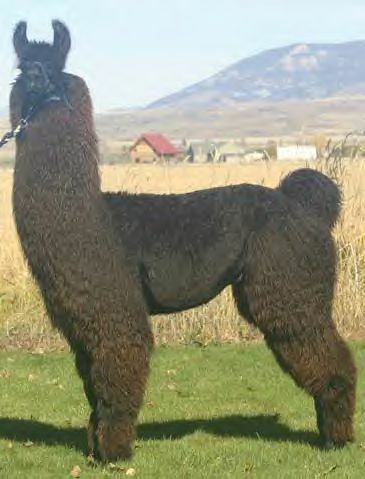 She is bred to Kobra's Serpiko for a fall baby. The third CoCo-Batman daughter, Coquette, can be seen under the girls sold. Monique is Miss Personality. She is always having adventures and getting into trouble, due to her incredible curiosity. We have so much fun with her. Monique is due in March. 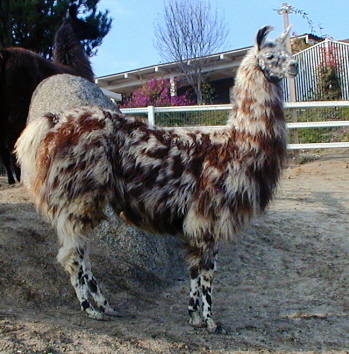 She was bred to the outstanding Chilean Graffiti (Chilean Napoleon x Dona Noel, a Papa Noel Daughter). Like her mother, Moonspinner is full of adventurous spirit and fun. We call her Miss Congeniality. We also call Moonie our puppy llama, as she cuddles up to us, and absolutely adores pets and atention. She had her first baby (Moonlight and Roses) this spring out of Bardo's Garcilaso (our Peruvian Bardo's son). She has since been rebred to Kobra's Serpiko, our 2005 Celebrity Champion. Monique's second daughter, Camieo (a High Five daughter) lives in Ramona with CoCo at the residence of Chris and Christi Kemsley. Dominique was our very first girl. 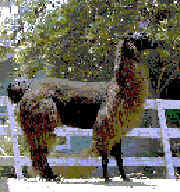 She was in our eyes a perfect llama, and was bred to Serpiko for a spring baby. Representing the best of Lopez and Senor Bolivia bloodlines, we felt she was truly one of our brightest stars. She had stature and grace. Sadly,we lost her this summer and will miss her greatly. She is survived by two splendid sons, Crescendo and Spittin' Image (see our male sale page). Her daughter, Mariah Ahrodite, and her grandaughter, Flying Meranda,(Mariah x Merit) are integral parts of our breeding program. 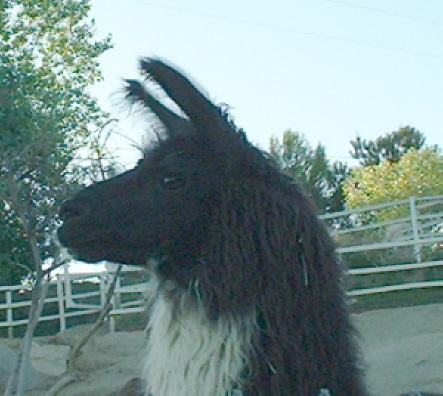 We are very happy with Meranda's new cria, Arabesque (see cria page). Mariah has wonderful conformation, as she is out of a Batman daughter and Pillar. She is currently bred to Coste del Sol (Don Divo x LW Sunkissed), owned by David and Marcia Ross for a spring baby. Mariah has had two beautiful girls, already. The first was the consequence of seeing Merit at Celebrity. Mariah then took a trip to Orca Island, WA to breed to him, and Flying Meranda was born. Mariah had another correct and beautiful girl, Sushi, out of our stud, RLL Millennium (see females for sale page--she is now sold, bred to Bardo's Garcilaso). We were delighted that Meranda has glossy black fiber with fine lock structure. She has proved to be a wonderful mother to her first cria, Arabesque. Like her mother and grandmother, Arabesque inherited the wonderful conformation typical of her bloodlines. 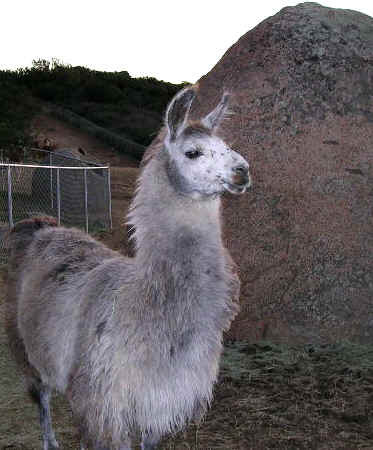 She is currently bred to Kobra's Serpiko for a spring cria. The following females have introduced diversity to our Batman-High Five base and bring additional valued traits to our herd. Bryana has had some of our loveliest babies. When we breed her to Jak, we get the most incredible colors and fiber. See Ninth Wave for our latest. He is so sweet and calm, and will be wonderful to train. We have repeated the breeding, and expect another Jakarta cria this summer. 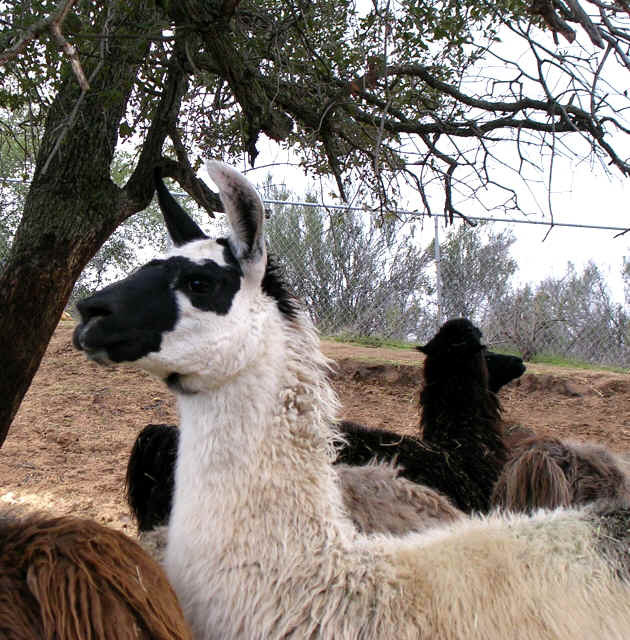 Sera is a very fine fibered female out of the Treasurer who is a stud at Applegate llamas, and a male that warms your heart as well as your eyes. Sera is bred to our full Bolivian, GLL Jakarta for a spring baby. Confetti has inherited the proud carriage of her beautiful father and the wonderful color of her mother, Contessa. Confetti had a Millennium son this spring, Biscotti. He is a fine fibered appaloosa: surely a Spinner's dream. 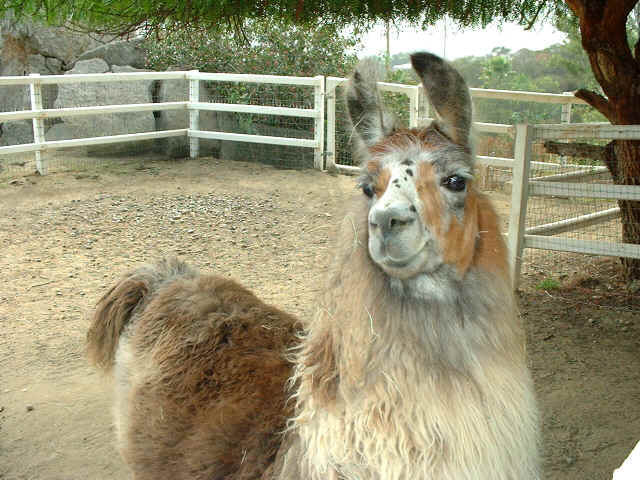 She is bred to Jakarta for an early summer cria. We have been so happy with our Black Jade son who is one of our main studs, Millennium, that we jumped at the chance to get a couple of RAR Black Jade daughters. Bo combines Bogart genetics with Jade, and we really like that heritag. 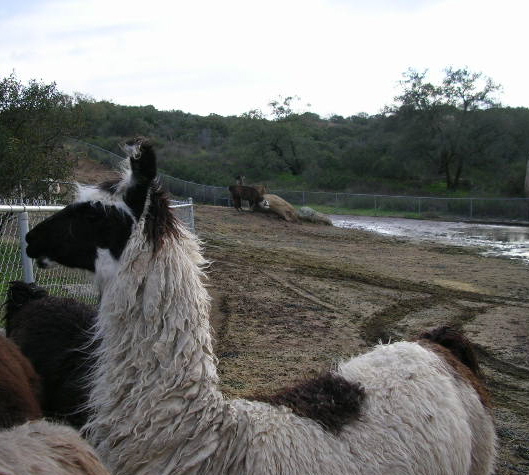 Two of our other llamas, Bravo and Fiamma carry Bogart genes. 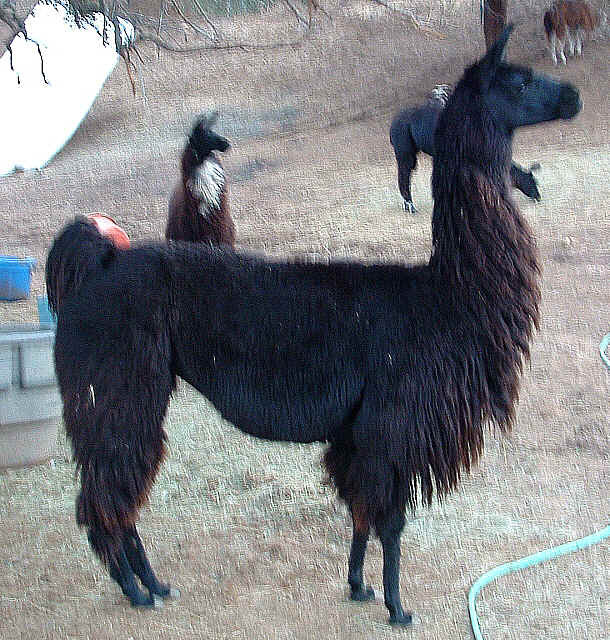 Bo is a beautiful girl, and is due to have her first cria in March out of Chilean Graffiti, a showy Napoleon son (a paint appy). We can hardly wait. Our second Jade daughter is so incredibly striking that we just could not resist her. 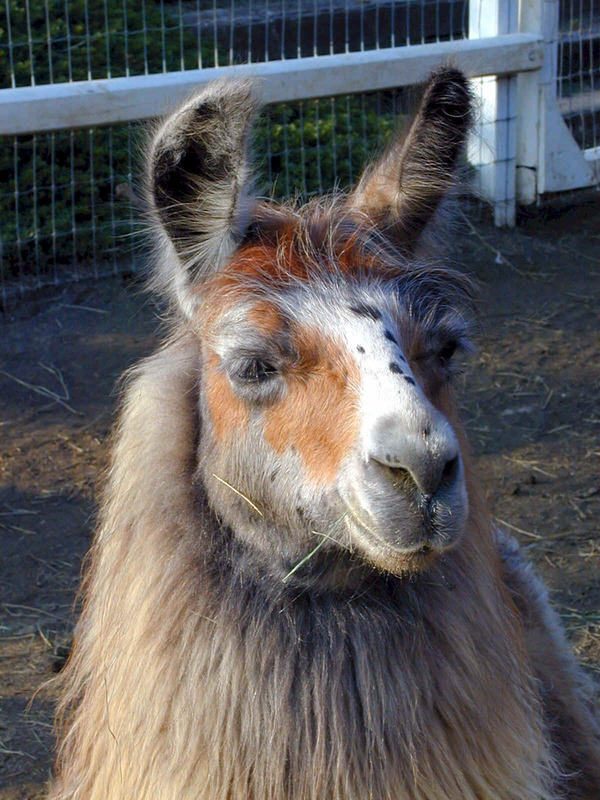 She is currently bred for a spring cria to our fabulous Jakarta's silky, curly son, Sherlock, and we have high expectations. This striking red girl is so beautiful with her lovely stature and endearing head wool. 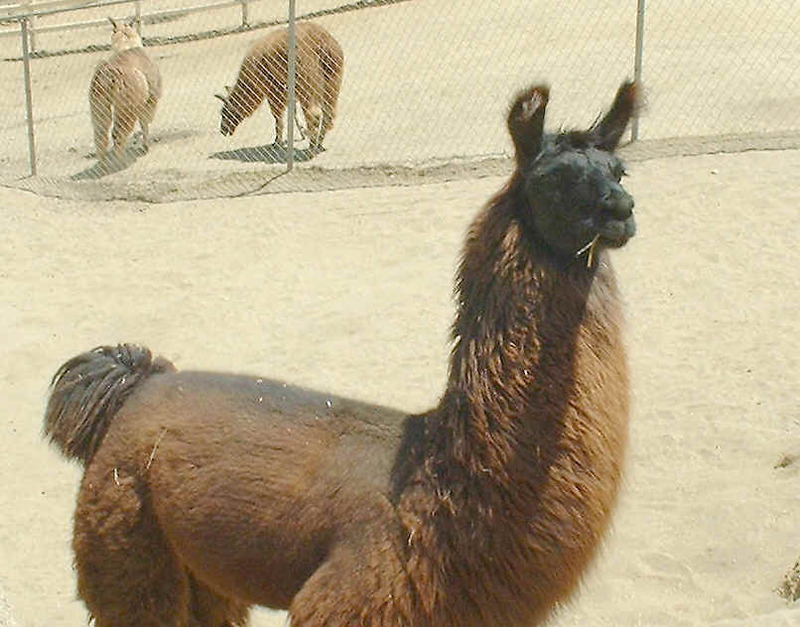 She is bred to our own Affinity, and we will not be surprised if we get a firey cria as a result.